No Mans Art Gallery organises pop-up galleries all over the world, finding local young artistic talent early in their career and taking their work along to the next destination. During the Cape Town exhibition, the gallery will showcase South African artists alongside the artists that were discovered at the six previous destinations. 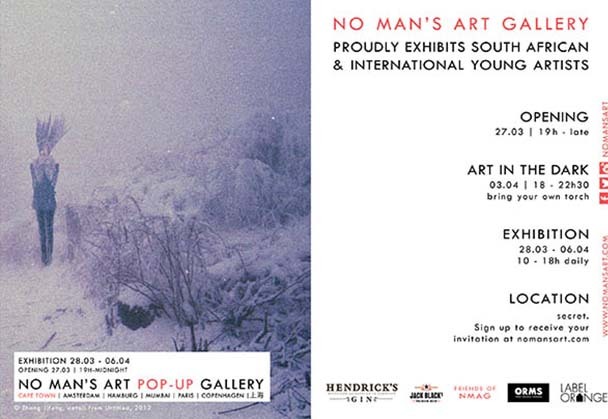 No Man’s Art Pop-up Gallery – CAPE TOWN offers a variety of media like video art, photography, painting, drawing, sculpture and corrosion drawings in creations of talented individuals. 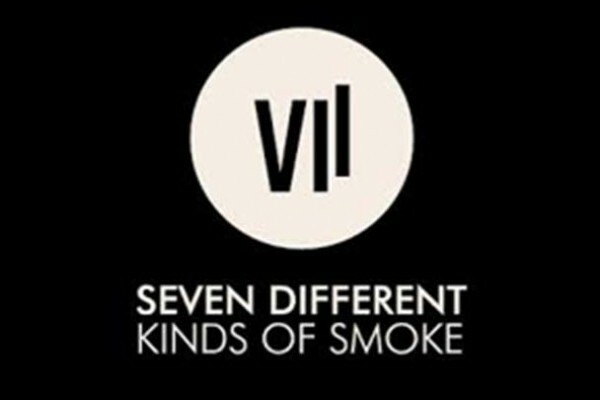 The names of the South African artists are still being confirmed. Among the 20 international artists are Merijn Kavelaars, currently residing in Shanghai after finding his market there during the previous pop-up gallery (his work sold out), Aixia Li, Mattijn Franssen, Julie Nymann, Nini Sum and Bertrand Peyrot. Blink and you’ll miss it, the exhibition stays in town for only ten days at a secret location. Opening night will be a party until midnight, in presence of some of the international and local artists. Entrance is free but guest list only. To receive an invitation and the address, sign up on www.nomansart.com. Alongside the artworks of professional artists, the exhibition will also showcase the best results of the Blikkiesdorp Photography Contest. Following the contest in Mumbai, India in 2011, the gallery now offers children from the township of Blikkiesdorp to experiment artistically with photography by giving them cameras, a photography workshop and feedback on their photos. The gallery’s curator Emmelie Koster (27) moves to each international destination for three months to set up a fully functioning network of artists, art collectors, sponsors, media and logistics. Where: Secret. Sign up on www.nomansart.com to receive your invitation. In Short: No Man’s Art Gallery organizes pop-up galleries at secret locations worldwide. March 2014, the gallery will pop-up somewhere in Cape Town and unless you sign up you will not know where it will take place. The gallery exhibits young talented artists from South Africa alongside the artists that were found during the previous pop-up galleries in Shanghai, Copenhagen, Paris, Mumbai, Hamburg and Amsterdam.